The republic of Guinea is situated in West Africa, by the Atlantic coast. The country is approximately 7.3 times as large as the Netherlands. 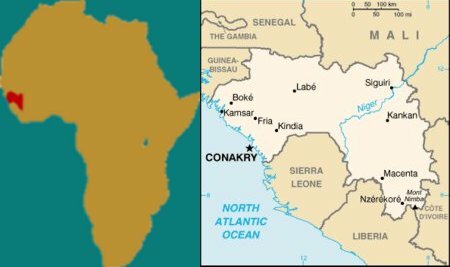 It has 9 million inhabitants, 1.8 million of whom live in the capital Conakry.